Along with a few hundred others, I arrived fashionably early and we were all marshalled into a temporary parking area on the grass. Click on an image for Hi Res. Kickoff at midday came and the lines formed to get in and once settled, there were old friends catching up everywhere you looked. 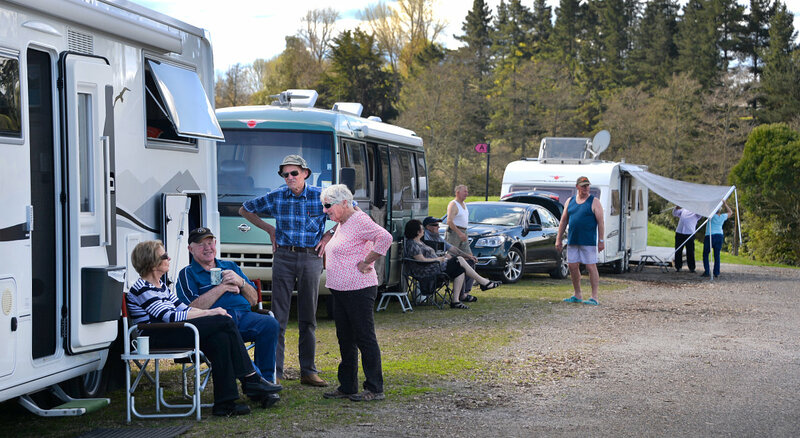 The parking was superbly managed and given the huge task of parking hundreds of Motorhomes and Caravans along with Buses with Toads, the end result was just a work of art. Well done to all the volunteers who pitched in. An amazing effort. I was only there half an hour and spotted Nelson and Maree in Caniwi so popped in for a chat with them and later caught up with them for a drink after also catching up with John and Sarah Pedersen. It was really nice to catch up with them too. John does a blog called licenced to retire. The next morning was showtime! .. I’d only just stepped in the door when Chris Nuttall tapped me on the shoulder. Chris runs the NZ Motorhome Forum and it was nice to see him. It has been a wee while! With the bathroom and shower at the back, an east-west bed and then Galley and Lounge at the other end, with the finish and polish you would expect from Swift. 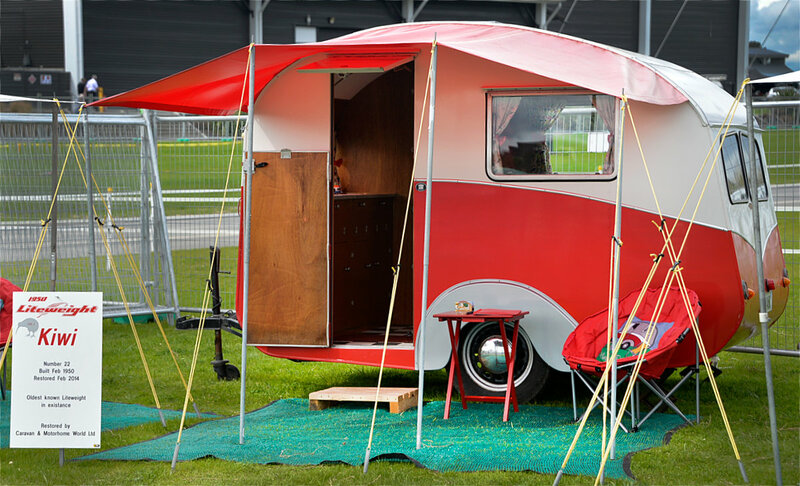 I was really impressed with the new Dethleffs Caravans for Families. One of them has two bunks with a childrens lounge at one end, the bathroom and shower facilities, a french bed and Galley area and then a big adult lounge at the other end. Its a big Caravan but they also have a smaller one without the kids lounge which is also a little cheaper. Most of the big manufacturers were there, Trailite, Bailey, Jayco along with many others and it was nice to see Eldiss’s new Motorhomes too. In a Trailite looking back. Dropdown bed above. Looking forward in the Trailite. 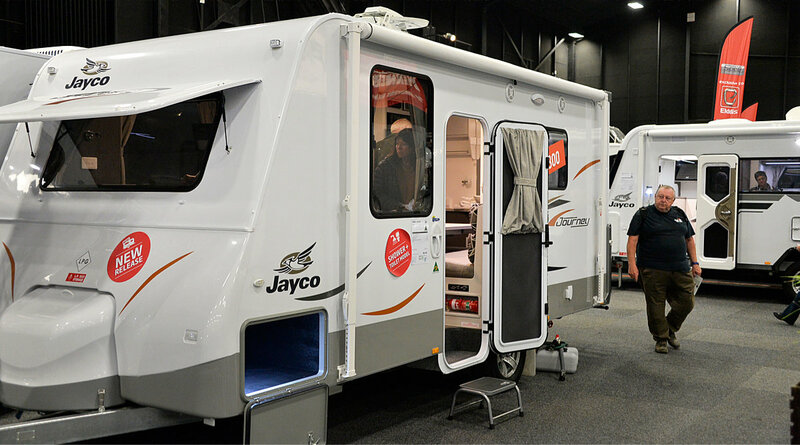 Going from one manufacturers Caravans and Motorhomes to another all in one spot, its really interesting seeing the different design styles and layouts. I was really interested to talk to Carters Tyres executive Phil Jackson who was at the NZMCA stand, about tyres. Phil was telling me that many Motorhomes and Caravans are actually close to the weight limit of their tyres with some even over. This isn’t something that I ever thought about to be honest as you tend to watch things like GVM and axle weights. His team were going to weigh Motorhome and Caravans the next morning including Rafe. 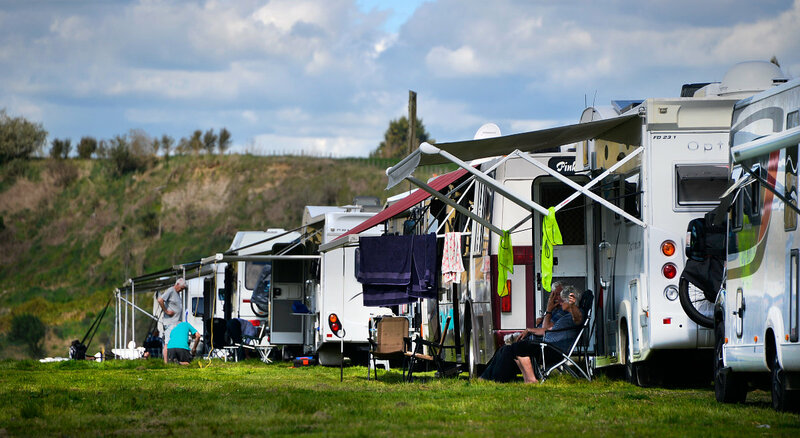 I also found out that they have a brand called Giti which are well suited for Motorhomes and Caravans and will perform as well as or outperform my current factory fitted european tyres, and they’re less expensive too especially with the NZMCA discount. I’m really looking forward to finding out more as mine have done 58000k’s and need replacing!! Rafe’s tyre weights were interesting. Weighed without me and without the bikes on the back, my current weight was just about 50 kg’s under on the front (each wheel) and would have been just over on the back with the bikes. The Giti’s have another 100kgs approx of payload each compared to my current tyres… who would have known! Rafe’s overall GVM is just under 4300kg and on a heavy day is 4100kg with water, wine, groceries and packed with two of us ready to go. After having a great chat with Phil, and Ryan from NZMCA and a few others, I headed out the other end for a bite of something. There was a huge covered area with picnic tables with food carts down both sides offering all the usual treats. Some music was provided too. From here I’ll let the pictures tell the story but a fabulous show and I heard that it is now going to be an annual event. I can’s say enough about the volunteer parking people who did an amazing job with what seemed to be a zillion Motorhomes and Caravans. 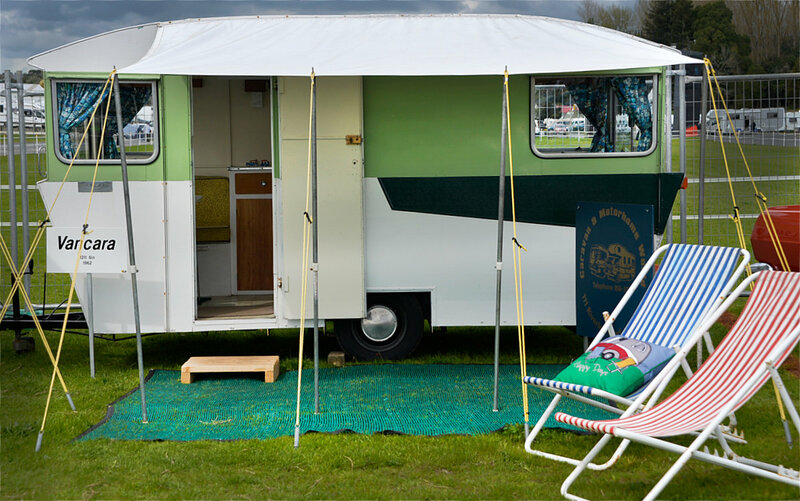 The Vintage Caravans looked fantastic too.